According to a UN Report of the Special Rapporteur on the rights of indigenous peoples1, government investment into First Nation communities across Canada has not kept pace with the demand for adequate housing and need for major renovations to existing units. In fact, a report commissioned by The Canadian Council for Public-Private Partnerships (“P3s”) estimates the infrastructure deficit across First Nations in Canada to be between $25 billion and $30 billion.2 In order to tackle that deficit, the Government of Canada will need to seriously consider the increased use of P3s in infrastructure development. With the inevitability of increases to infrastructure investment, design professionals must ensure they have a clear understanding of the often confusing area of building code requirements on First Nation lands. 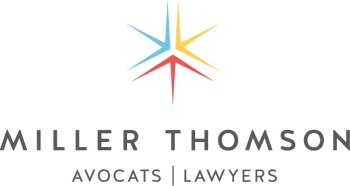 In a post published this past October, Miller Thomson partner, Karen L. Weslowski discussed the applicability of national and provincial building codes on First Nation lands in British Columbia. Unfortunately, determining the applicable building standards on First Nation lands in Ontario remains just as unclear as in Western Canada. The lack of consistency when determining the appropriate building standards to apply means that consultants, architects, engineers and other design professionals in Ontario must remain cognizant of this issue in their decision-making and designs to avoid professional liability. First Nation lands3 are regulated pursuant to the Indian Act, R.S.C. 1985, c. I-5 (the “Indian Act”) which acts as the main source of authority governing First Nation land use. At a national level, the National Building Code of Canada acts as a model building code meant to create the foundation of building codes at the provincial level; however as mentioned in Ms. Weslowski’s article, it has no legal status unless expressly adopted by the provinces. Provincial building codes, such as the Ontario Building Code, a regulation created under the Ontario Building Code Act, 1992, S.O. 1992, c.23, are enforceable across the province but generally do not apply to on-reserve construction projects.4 This creates uncertainty when determining which building standards to adhere to when developing infrastructure projects on First Nation lands. First Nations have the authority granted to them by section 81(1)(h) of the Indian Act, to make by-laws that regulate the construction, repair, and use of buildings on First Nation territory. Currently many First Nations in Ontario create by-laws pursuant to this power. However, similar to in British Columbia, several First Nations have also entered into agreements with the Canadian government to manage their lands and resources, pursuant to Canada’s First Nations Land Management Act S.C. 1999, c.24 (“FNLMA”), we will refer to these First Nations as “Land Code First Nations”. An example of such an arrangement is the Mississauga First Nation Land Code, enacted on June 2, 2009. With their own land code, the Mississauga First Nation is able to manage their land as necessary. In 2018 they formed a cannabis committee to explore the economic development of the industry within their land6. The mandate of this cannabis committee is to ensure that cannabis projects are in strict adherence to their Land Code. New projects such as a cannabis production facility would have to be designed in accordance with the Housing Policy7, created by the Mississauga First Nation. The Housing Policy mandates that new construction projects adhere to, at a minimum, both the National and Ontario Building Codes. The Mississauga First Nation Housing Policy is just one of the policies created through the power granted by the FNLMA. On May 1, 2018, the Chippewas of Rama First Nation Land Code came into effect, which transferred administration for the land just east of Orillia from the Government of Canada to Rama (First) Nation pursuant to the FNLMA. The main parcel of the Casino Rama Resort land is subject to a lease between Casino Rama Inc., an affiliate of Rama (First) Nation, and the Government of Canada pursuant to a commercial ground lease. Section 10.3 of the Rama First Nation Land Use and Development By-Law No. 06-01 requires that all Casino Rama buildings be built in accordance with the National Building Code or Provincial Building Code, whichever is more stringent. Determining the applicable building code has been made easier due to the fact that many Land Code First Nations have enacted building code by-laws. However, as less than 20 of the over 140 First Nations in Ontario operate under the FNLMA and have their own land code, the issue is far from clear and predictable. The Government of Canada provides monetary support as part of their commitment to supporting First Nations in the planning, acquisition, design, and construction of infrastructure. Created to provide guidance on applicable standards, the Protocol for INAC-Funded Infrastructure (the “Protocol”), makes it clear that a Council of a First Nation must adhere to the National Building Code along with other national codes such as the Canadian Electrical Code and the National Plumbing Code of Canada, as a condition of receiving funding from the Canadian government. The Protocol also serves as a reference for qualified and experienced third parties who are engaged by First Nations to provide planning, design, construction, operation and maintenance services, or goods or other services on First Nation lands. As recommend in Ms. Weslowski’s article, architects and engineers should take special care when completing designs for a First Nation construction project. Differences between federal and provincial legislation, and among each First Nation in their regulatory approach to construction, means that a case-by-case assessment is necessary. Prior to commencing design work for an on-reserve First Nation construction project, an architect or engineer should perform due diligence that includes identifying which federal statutes and First Nation laws apply to land use matters on that particular First Nation’s reserve. They should also request and become familiar with the First Nation’s laws or bylaws relevant to development and construction. Lastly, they should also examine the applicable lease(s) to determine any contractual requirements. The applicable laws or leases may also set out certification requirements to be followed by an architect or engineer in order to support a request for a building permit or an occupancy permit. Failing to correctly ascertain the appropriate building code could result in serious liability for the architect or engineer should the construction not meet the applicable requirements. Underwriters insuring architects and engineers should ensure that their Professional Liability insurance application form requires disclosure of all on-reserve First Nations projects and confirmation that the insured has performed all necessary due diligence to determine the applicable building code requirements.